Doug joined Worldpay US, Inc. (formerly “Lynk Systems, Inc.”) in May of 2000 prior to its acquisition by The Royal Bank of Scotland Group (“RBS”) as the company’s first General Counsel. Worldpay US is the US division of the Worldpay Group headquartered in London, UK. Worldpay is the third largest payment processing company in the world. Over the years, in addition to Doug’s responsibilities as General Counsel to WorldPay, he has supported RBS’ US financial services joint venture with The Kroger Co. as well as its U.S. ATM and Credit Card Divisions. Doug stayed with the business after its sale by RBS to private equity giants Bain Capital and Advent International in 2010 and post IPO on the London Stock Exchange in 2015. 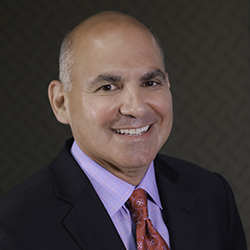 Doug is a member of Worldpay US’s Board of Directors; Executive Leadership Team; Risk Management Committee; Product Development Committee; and Service Delivery Committee. Doug also serves as Worldpay’s corporate Secretary. Doug is also a Board Member of the American Transaction Processor’s Coalition (ATPC). Prior to joining the Company in 2000, Doug spent 12 years in private practice in Atlanta, Georgia where he specialized in the areas of corporate law as well as commercial and civil litigation. Doug is originally from the New York City area. He received his Juris Doctorate degree from Emory University School of Law in Atlanta in 1987 and his Bachelor of Arts degree from Ithaca College in Ithaca, N.Y in 1984. He is a member of the American Bar Association; Association of Corporate Counsel; the State Bar of Georgia; and the Atlanta Bar Association (Corporate Law Section).